This aerial view of Hemming Park, looking from the northeast corner, shows the Confederate soldiers' monument in the center of the park. 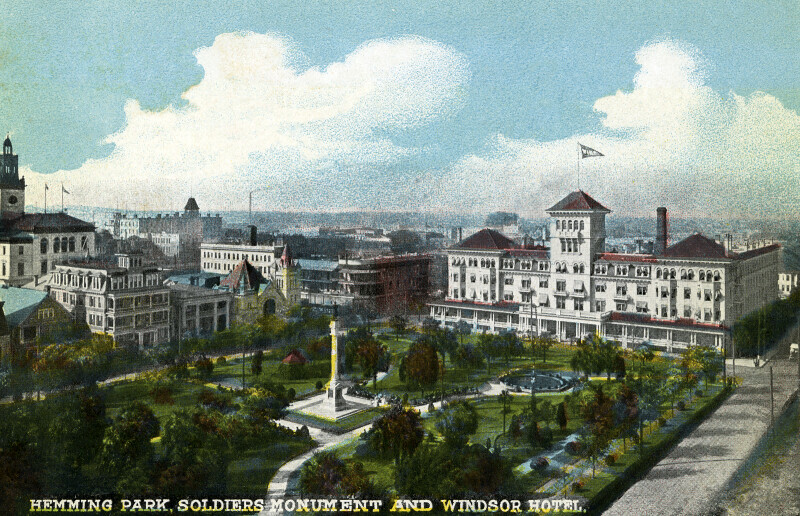 The Windsor Hotel is in the distance, west of the park. To the left, there are many other buildings. In the northwest corner of the park, there is a fountain, with a circular pool.